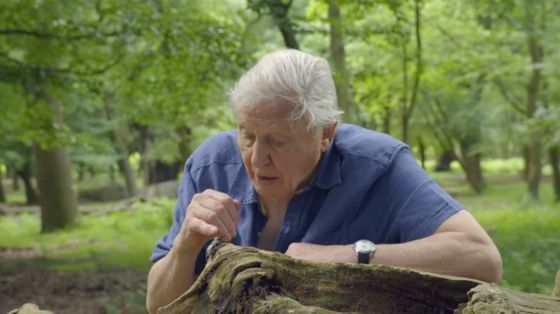 A short film, Richmond Park: National Nature Reserve, presented by Sir David Attenborough, has made it to the finals of the Charity Film Awards 2018. And fans of Richmond Park have until the end of April to vote for it to be the overall winner in the People’s Choice Category. The Friends of Richmond Park, a conservation charity dedicated to protecting the park’s peace and beauty, produced the film, showcasing its wildlife and natural environment, and helping visitors look after the park with ‘Tread Lightly’ conservation messages. Richmond Park, one of the eight parks managed by The Royal Parks charity is London's largest National Nature Reserve, designated a Site of Special Scientific Interest and a European Special Area of Conservation. The number of people visiting the park has gone up by 40 per cent over the last 10 years – now reaching around six million visitors every year. The ever-growing popularity of this historic park means that the wildlife and natural environment are under huge pressure. The film, fronted by celebrated broadcaster and local resident Sir David Attenborough, will inform visitors how they can help “protect this very special place for the enjoyment of future generations" and retain "...peace and tranquility for millions of Londoners." Adam Curtis, Richmond Park Manager, said: “Historic Richmond Park has hardly changed over the centuries. The varied landscape of hills, woodland gardens and grasslands are teaming with wildlife, including rare species of fungi, birds, beetles, bats and wildflowers – as well as home to ancient trees. To vote for the film to win, visit www.charityfilmawards.com/videos/richmond-park-national-nature-reserve.